Home /Is your PIP stacked? Suppose you are on your way to dinner with the spouse and kids when you hit a patch of ice and skid off the road, injuring your spouse and kids. Something you may have never considered before may become very important to you at that point, Personal Injury Protection (PIP) also known as “no-fault” coverage. PIP provides coverage for you and your family when injuries result from the “operation, maintenance or use of a motor vehicle” regardless of the party that is at fault. PIP provides coverage for lost wages, medical bills and even replacement services such as lawn mowing and house cleaning when related to injuries that resulted from the car accident. In Minnesota every vehicle must have $20,000 for medical expenses and $20,000 for lost wages. Is $20,000 of medical coverage enough for you and your family? We would argue that it is not. Fortunately there are inexpensive ways to increase the coverage. 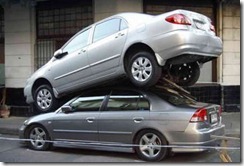 The first option is available when you have more than one vehicle insured on the same policy. In this case you can “stack” your PIP coverage. By stacking the PIP coverage you get access to the PIP limits that are available on each vehicle. For example if you have the Minnesota state minimum of $20,000/$20,000 and you have three vehicles on the same insurance policy you would have a total of $60,000 for medical and $60,000 for lost wages. The best part is this coverage will typically cost less than $1 per month per vehicle! If you only have one vehicle to insure then you have the option to purchase additional PIP coverage. While purchasing additional coverage is slightly more expensive than stacking coverage the cost is still a bargain for the increase in coverage. Expect to pay less than $10 per month to double your PIP coverage. For even more protection you can combine stacking with additional PIP coverage levels. The additional coverage can help to provide adequate coverage for weekly lost wages. While this coverage is very beneficial and very inexpensive, many insurance agents do not include it, so be sure to ask about stacking and additional PIP or better yet contact us and we will make sure you have the proper coverage for your unique situation!